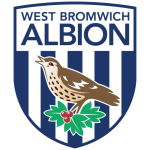 West Bromwich Albion vs Nottingham Forest predictions ahead of this Championship clash on Tuesday night. Will Forest’s awful away form continue? Read on for our match preview and free betting tips. Can West Brom continue their push for a top-two finish on Tuesday night? They know that none of the three sides above them feature until Wednesday, so a home victory for the Baggies would lay down a marker. However, another side hoping to make a point are in action at the Hawthorns. It hasn’t been the greatest homecoming for Martin O’Neill, who is out to take Nottingham Forest back to the Premier League. He has had average returns in his first four matches, but how will his side fare here? West Brom got back to winning ways when they saw off Stoke on Saturday evening. They bounced back from their FA Cup elimination to move within five points of second place with a game in hand. The top four are all clamouring to make the automatic promotion spots this season, with the Baggies looking for a return to the top flight at the first time of asking. They come into this one with a poor record at the Hawthorns in 2019, but will this be the game where they turn that around? The visitors are now within five points of the top six after seeing off Brentford at the weekend, a result which put them up to ninth in the table. However, they have a long way to go in order to stay in the fight for a top six finish. They’ll need to be able to match the likes of fourth-placed West Brom, or else their hopes of getting back to the top flight are unlikely to last. Will this weekend prove to be a turning point for the away side? There’s little backing up their hopes of climbing the table in Tuesday’s live Sky game. The hosts may have lost their last two home games – one of which came in extra time – but they have a decent Hawthorns record overall. They are particularly adept in the attacking areas, scoring 2.33 goals per game at home this season. No Championship side has scored more league goals than the Baggies this season. They are one of the league’s most clinical sides, scoring from 14% of their chances, while they create an impressive 16 opportunities on average per game. Forest come here on the back of four straight away defeats. They’ve conceded 15 times in their last seven on the road, which we’re backing to continue here. The Baggies have scored twice or more in nine of their home games this season, which has pushed them clear as one of the frontrunners to go up. With that in mind, we see value in backing over 1.5 West Brom team goals, as we see them scoring at least two in this clash. Nottingham Forest manager Martin O’Neill has lost his last three league games against West Bromwich Albion, all with Sunderland in the Premier League between February 2012 and February 2013. 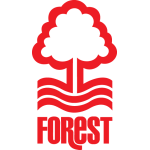 75% of Forest’s league defeats have been by a single goal.